I have an issue with follow through. It’s something I’ve known for a long time, and I try to deal with it, but then something shinier comes along and that’s where the focus goes. 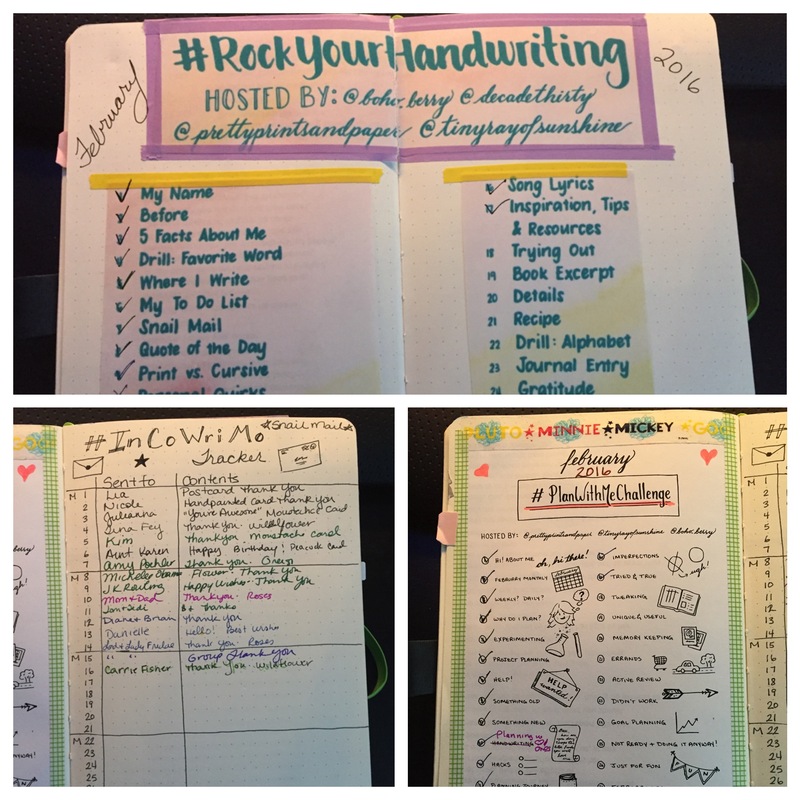 I mentioned that I’m participating in a number of challenges this month to help keep me engaged in my writing and organizing – PlanWithMeChallenge, InCoWriMo and RockYourHandWriting. Did I mention that I have a problem with follow through? Well, maybe I can say I HAD a problem with follow through but I’m conquering it. I am caught up on all of them, and it didn’t take me a crash session to get 10 days done at once. I still have to write today’s letter (can’t decide who to write to) but all of the others are up to date. I am also up to date in my other classes which is a first for me in a long time. Why? Well, accountability has a lot to do with it. And for the first time, people are looking at my posts and reading my words. I never thought it mattered…write for me, post it because it’s a goal and if no one reads it, that’s fine. Well, it’s not fine because it’s not inspiring to put something out there that goes completely unnoticed. (Irony strikes again) In the middle of writing this post, I got distracted – that was four days ago! But I’m back. Even during a busy weekend as I just had, I found myself finding time to get at least one of the my challenges in each day. I know that some of them take very little time and I can “catch up” a few days in a short time, so that takes the pressure off when there just aren’t enough hours in the day. What does it take to keep you on track? What helps you follow through on your challenges? How do you fit it all in? Thank you! It has been rewarding in ways I hadn’t imagined.